Office acoustics can be confusing with client or occupier dictating required acoustics performances in accordance with multiple office guidance documents and possibly BREEAM where a certain rating is to be achieved. Shell and Core describes the building envelope or the outer frame of the buildings i.e. the roof and external walls and glazing. 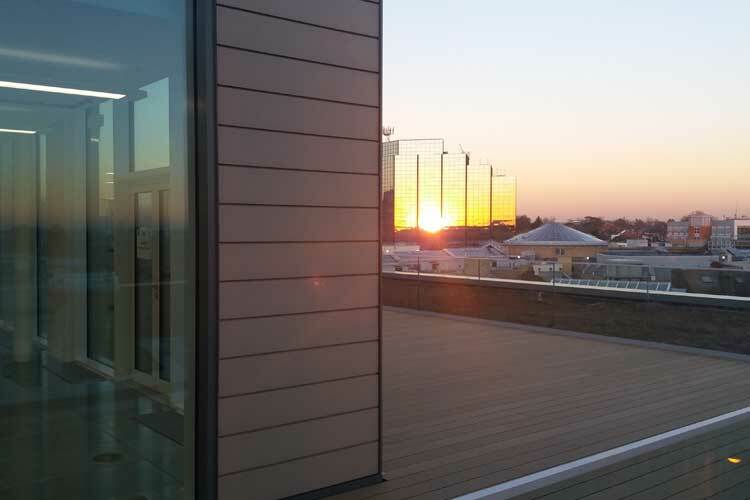 Externally, the building appears complete, but internally building services have yet to be installed often with no internal walls leaving a blank canvas for future developers. 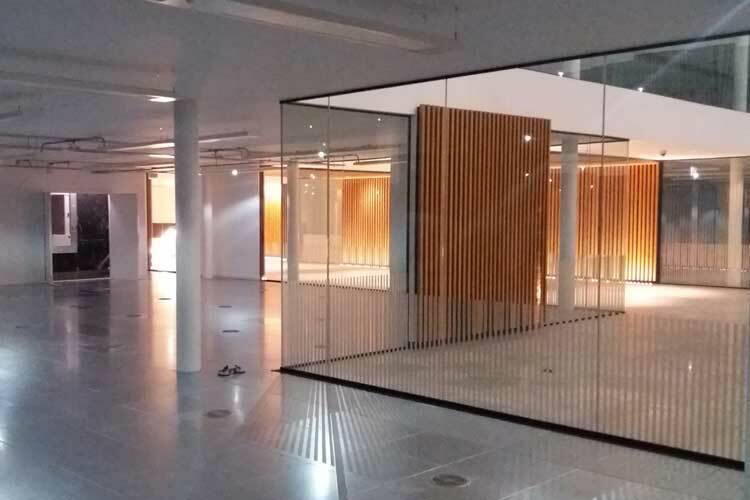 Unlike Shell and Core, Category A fit-out typically includes the installation of mechanical and electrical services, raised access floors, suspended ceilings and internal walls. However, unlike a Category B office carpeted floors and a lay-in grid ceiling system would not yet be installed. Category B fit-out describes a finished office including surface finishes often tailored to the requirements of the new occupier, for example company colour coded carpets and glazing with company logos etc. The level of fit out affects the depth of the scope of acoustic services needed. For example, for Category B fit-out it is important that walls or floors are not compromised by flanking noise transmission through poor detailing or workmanship. Acoustic criteria need to be clearly defined at the start of the project particularly given the breadth of applicable standards such as Building Council for Offices (BCO) 2009 ‘Guide to Specification’, BCO 2014 ‘Guide to Fit Out’ and the American WELL Building Standard being applied to some projects in the UK. The document focuses on significantly reducing the most common sources of physiological disruption, distraction and irritation and on enhancing acoustic, ergonomic, olfactory and thermal comfort to prevent stress and injury and facilitate comfort, productivity and well-being. In summary, for good office acoustics it is important that you have an experienced and trusted acoustic consultancy form the start. Environoise has substantial experience in office developments from modest to major tower block buildings.